If you’re currently in the middle of planning your wedding, you may be searching for the perfect Los Angeles wedding venue. Whether you’re looking for a stylish, intimate space or a roomy, lavish area to accommodate a lot of guests, there are a few key things that every wedding venue should include. If your wedding venue doesn’t include these things, you may regret it later—or it could even cost you unnecessary extra costs. 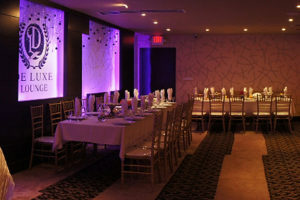 Here are a few things to look for when researching Los Angeles wedding venues. This should go without saying, but your Los Angeles wedding venue should be beautiful. It will be the backdrop of your event, and will be remembered in photos forever. Make sure you’re completely pleased with the way a venue looks before booking it. One of the best parts of a wedding reception is the music and dancing. 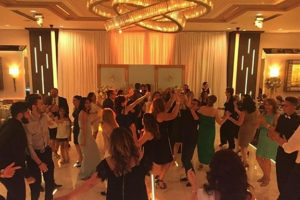 Your wedding venue should definitely include a great dance floor with enough space for your guests to dance the night away. Similar to the dance floor space, a wedding venue’s band space should be large enough to comfortably accommodate your band or DJ. 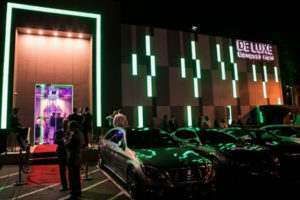 Some music contracts even stipulate in their contract that they have enough stage or platform space, so make sure to find a venue with room for your music entertainer. When it comes to making your wedding reception truly personal, you’ll want the option to pick and choose things such as the décor, lighting, centerpieces, and dishes. 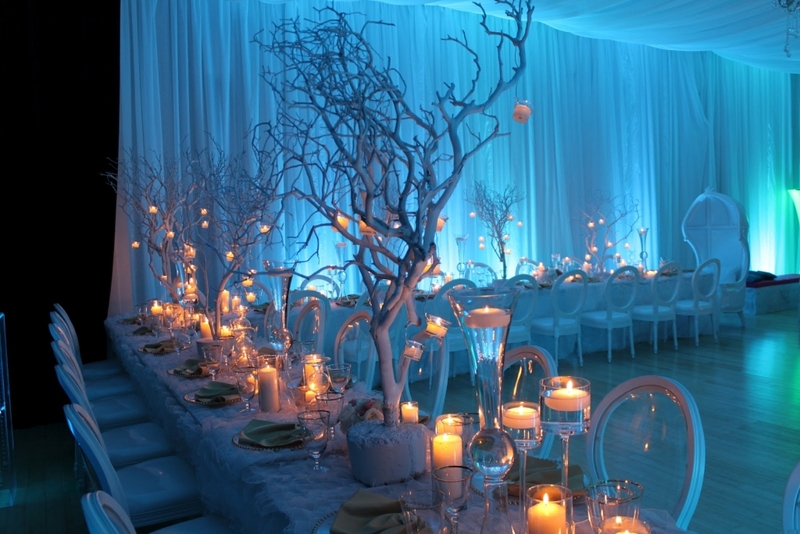 If a wedding venue doesn’t give you choices, you won’t truly be able to make the vision for your wedding come to life. 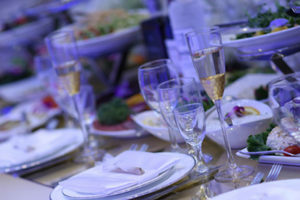 You may have your own plans for your wedding catering, but if you don’t, it’s a smart idea to book a wedding venue that provides their own catering services. 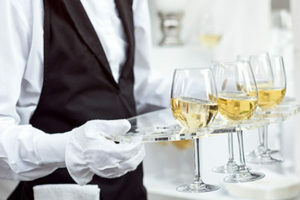 Many Los Angeles wedding venues work with a primary caterer that they can vouch for, and are comfortable with. You can set up a tasting to make sure you like what they offer. Booking a wedding venue with their own caterer (whether in-house or simply a partner) can save couples a lot of time, energy, and hassle. Anyone who lives in Los Angeles knows how frustrating it is to be late for an event because of parking. It may seem crazy, but many Los Angeles wedding venues do not actually provide parking. Make sure to ask when checking out your venues if they offer parking for guests. This may not be a necessity, but it’s an added bonus to any Los Angeles wedding venue: a room separate from the main hall where guests can take a breather from all the excitement and energy. This is perfect for elderly guests or small children—or for anyone who simply needs a quick break. It can be a small lounge area, outdoor gardens or a patio, an offshoot bar, or a foyer. 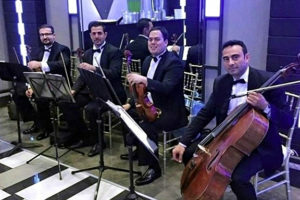 No matter how beautiful a wedding venue is, it should also come with an outstanding staff. 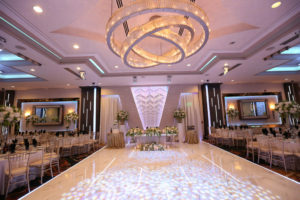 From the servers to wedding planning services, your Los Angeles wedding venue should employ and demonstrate the best service. After all, they are helping with one of the most important days of your life! You certainly don’t want your guests to feel cramped, and you’ll want the setup of the rooms to allow for easy traffic. Make sure the Los Angeles wedding venue you choose has plenty of space for the amount of guests you’ve invited, and that there are no areas where a “navigation clog” could happen. 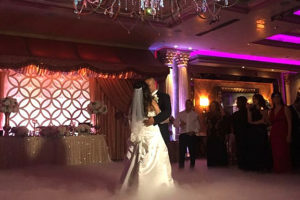 As one of the best wedding venues in Los Angeles, De Luxe Banquet Hall can provide you with superior amenities, top-notch service, professional wedding planning advice, and beautiful Los Angeles wedding spaces for any size wedding. For more information, please contact us or check our availability!